First one to get is the smbus driver. 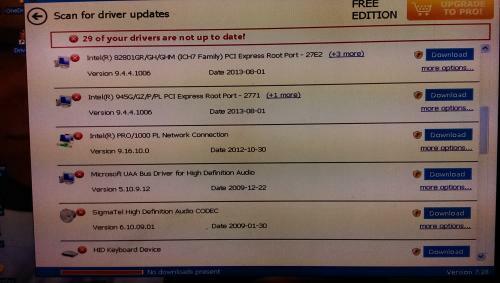 It is the main driver for the motherboard. From there you can pick the next one to update. Just let me know which one it is so I can then suggest the next two for tomorrow for you to get. Edited by Lexy610, 12 February 2014 - 06:09 PM. 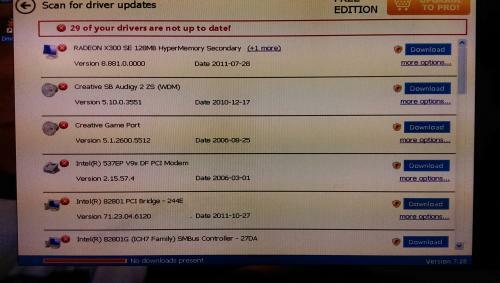 The intel driver. The other is for the audio. UGH .. now its not letting me register in order to update the drivers .......... keep getting error .. stream error wrong data received from server. Register what? 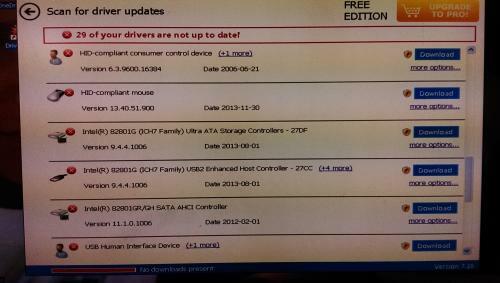 You shouldn't have to register anything just download the two drivers and then install. Can you turn steam off till you have the registration done so you can go on? When I click on the d/l button its asking me to register in order to d/l the update .. but it isn't letting me. Edited by Lexy610, 12 February 2014 - 10:03 PM. Strange I just installed the program and then registered with DriverMax with nothing more. Then I scanned my system and downloaded the updates with no problem. It never asked me to register other then the initial installation of the program. We can try another way and see what this finds. 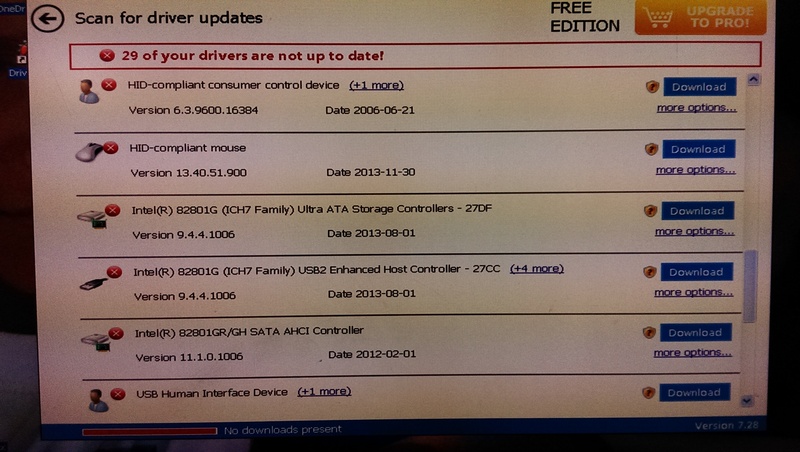 Hi I just tried it again and I was able to register it and updated 2 drivers .. tmrw I will update two more until they are all updated. As for my run time error from my iTunes I didn't have to save or back up my library or contents .. I just uninstalled it .. reinstalled it and everything was there once it was reinstalled. All seems to be working fine now. My original problem I think has been fixed. Great to hear and now we will get all your drivers current and then after a couple of days of testing then if everything is ok we will consider this resolved. 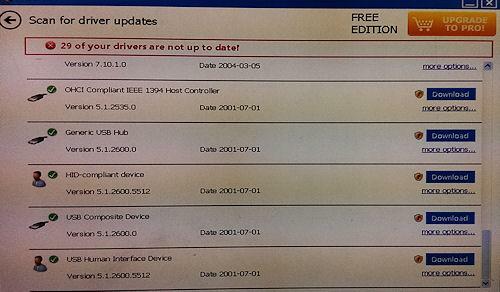 Please keep me up to date every day with the new drivers and how everything is running as you go. I would prefer if you recommend which other two to update tomorrow if thats ok with you. 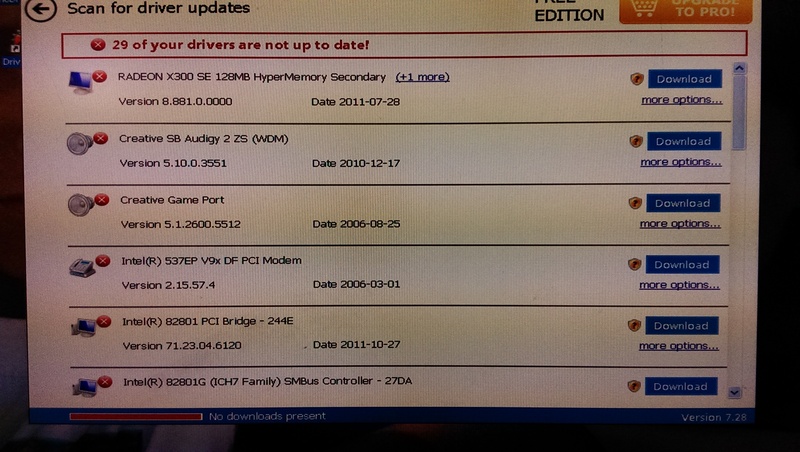 Concentrate on the Intel ones as they will be part of the motherboard. Once those are done then do the video and sound drivers. After that pick the misc ones last. Ok will do .. thank you. 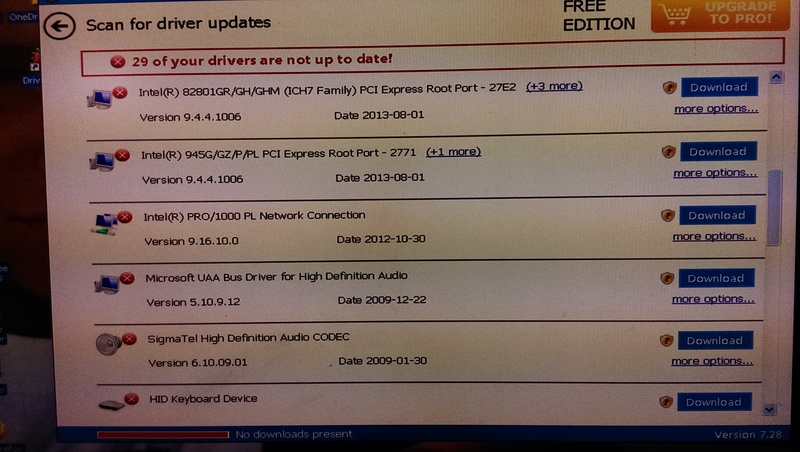 Will give u an update later when I download the next two drivers. Hi .. I have been trying all day to update two more drivers .. however I keep getting this "submission error 10. please try again later. I open up DriverMax I click on scan for updates now bc the ones that were already showing were no longer there so I had to rescan but it wont let me I keep getting that error. Edited by Lexy610, 15 February 2014 - 12:30 AM. You can try to reboot and go into Safe Mode With Networking and try to download from there.